Eddie Muller and the Film Noir Foundation returns to Seattle following this past summer's Noir City 2016: Film Noir from A to B with bold new 35mm prints courtesy of their collaborative efforts with The UCLA Film & Television Archive. The Preservation Society and it's annual touring festival, offering one of the country's most, "Fascinating Windows into Our Cinematic Past". The work of the restorationists at the archive feature prominently in the LA Weekly's discussion of the expansive shift to digital distribution and projection nationwide, "Movie Studios are Forcing Hollywood to Abandon 35mm Film. But the Consequences of Going Digital are Vast, and Troubling". Their work will again be on display after the selections from the UCLA Festival of Preservation featured at Northwest Film Forum's annual series of last spring. Next week's Noir City: The Big Knockover - Heists, Holdups and Schemes Gone Awry at SIFF Cinema Egyptian screens both 35mm and new digital restorations comprising ten double bills that present a excursion through that ultimate of thriller; the heist film. Highlights from this year's program include a new restoration of one of the true classic of the genre, in "The Asphalt Jungle" John Huston delivers a complex work of human ambition, resolve and corruption. "The Asphalt Jungle: “A Left-Handed Form of Human Endeavor” remains one of the one of the greats from America's mid-Century exploring the darker underside of urban America, and the lives of those operating in the shadows. Delivering a meticulously crafted set of thrills, turns and heartbreaking failures, "Dark Passage" features an astounding ensemble cast starring, Sterling Hayden, Sam Jaffe, Jean Hagen, Louis Calhern, Anthony Caruso, Brad Dexter, Marc Lawrence and a cameo turn that put Marilyn Monroe on the map. Japanese Noir makes an appearance in the program with Takumi Furukawa's entry in the "borderless action" genre and it's confluence of "Action, Anarchy and Audacity", made popular by his contemporaries at Nikkatsu, Seijun Suzuki and Toshio Masuda. Set in the world of the Yakuza, "Cruel Gun Story" stars the stalwart of the genre, Jô Shishido, as the sharp-witted Togawa enlisted to take on a major heist following the Japan Derby. As is the case with much of the Nikkatsu Noir, things are not what they seem as it soon becomes clear there is more to the heist, and the Yakuza who have enlisted him than Togawa knows. French director Henri Verneuil's star studded French-Italian gangland meetup is as globetrotting in it's locales as is it is twisted and turning in it's plot. Again, a strong ensemble cast of specialists is brought together by Jean Gabin's aged crime boss under the promise of the world's most challenging, and lucrative, heist. 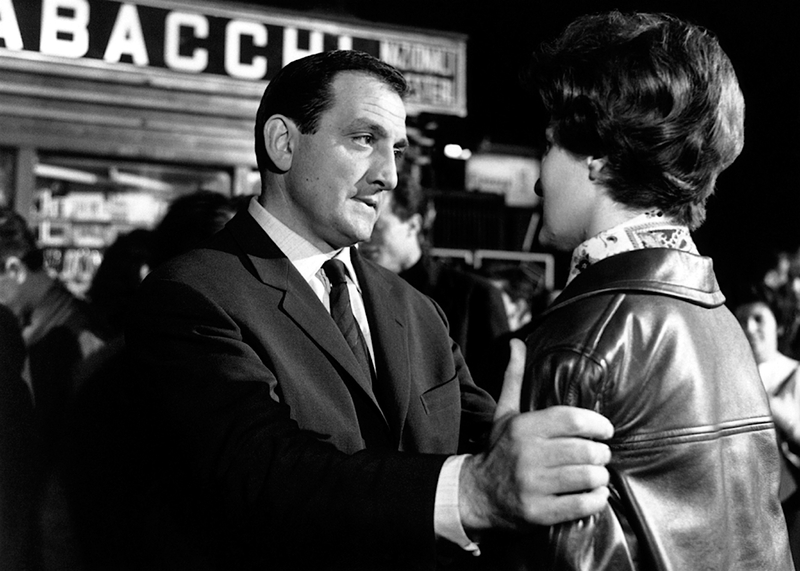 Set to the tone of Ennio Morricone's evocative score, French crime stalwart Lino Ventura pursues "The Sicilian Clan" through the thickly plotted intertwining mesh of enterprise, crime, passion and deceit. Other high points in this year's programing include; Jack Hawkins, Roger Livesey, Richard Attenborough in the zenith of Basil Dearden's filmography, the ensemble cast of adrift post-World War II veterans comprising "The League of Gentlemen". The very British band of gentlemanly rogues literally taking their cues from the script of a throwaway pulp novel. Brits also play a prominent role as Alec Guinness leads a crew of eccentrics, specialists and outsiders in one of his great roles as the head of "The Ladykillers". Make no mistake, this 1955 comedic caper from Alexander Mackendrick is very much the real deal and should not be confused with the less achieved Coen Brothers remake of the 1990s. Back on North American soil, Robert Shaw's cool and collected soldier of fortune hijacks a subway train loaded with passengers in one of the great New York City films of the century. Equally unlikely is the duo of transit cops, Walter Matthau and Jerry Stiller, who stand in the way of the high-stakes ransom scheme. Propelled along by meticulous high-speed editing and David Shire's memorable score, "The Taking of Pelham One Two Three" could only have taken place in the Manhattan of the 1970's and stands as a testament to the city's thrilling mix of classes, culture, crime and multi-ethnicity. Lastly comes two representations the true gold standard of the genre from France in the 1950s and 60s. Under the encouragement of fellow director Jean-Pierre Melville, blacklisted American expatriate Jules Dassin adapted a rudimentary crime novel into a setpiece for the one of the utmost bravura break-in sequences found in all of cinema. "Rafifi"'s central heist sequence alone has earned the film it's status as a landmark in suspense. Running some thirty minutes without dialogue or soundtrack score, the film's central scene cunningly employs devices as diverse as ballet slippers and an umbrella, and sparked Dassin's prolific career in Europe. No noir series would be complete without an entry from the French, and "Classe Tous Risques" may be the most quintessentially Francophile crime film of all time. Dogged and on the run, Lino Ventura's aged gangster navigates the multitudinous twists and turns of this Claude Sautet career-highlight, with only one ally in all the world played by the young Jean-Paul Belmondo. The definitive European "one last job" film of the 1960s, it's a one man against the world, as Ventura's Abel Davos goes toe to toe against the crime world he once ruled in this hyperstructured adaptation of a novel by José Giovanni.